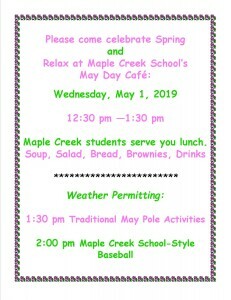 The mission of Maple Creek Elementary School District is to provide an exemplary educational program for the students of Maple Creek School. The high teacher-to-student ratio provides personalized instruction to foster the development of each student’s talents, academic performance and social/emotional growth. We provide a solid foundation for our students to enter high school, college and chosen career paths. Global literacy and digital citizenship are promoted with the use of digital tablets for the students and professional development for the staff to remain updated on innovative technologies. An outstanding visual and performance arts program provides a stage for students to demonstrate these skills.